Other Name: Anthony Marshon Davis Jr.
26 years, 1 month, 10 days old age. 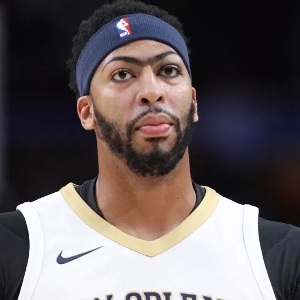 Anthony Davis will turn 27 on 11 March, 2020. Only 10 months, 18 days, 10 hours, 21 minutes has left for his next birthday. Anthony Davis has celebrated the total number of 26 birthdays till date. See the analysis by days count and bar graph. Anthony Davis was born on 11-03-1993 in Chicago in the state of Illinois, United States. He is an American Basketball Player. He was born to Anthony Davis Sr. & Erainer Davis. He has an elder sister named Lesha Davis and a twin sister named Antoinette Davis.